On 22-23 March 2013, more than 100 scientists, artists, academics and activists from 5 continents will present their innovative and informative presentations and performances in the second edition of Waterwheel World Water Day Symposium. ence directors, inventors of games for social change, artists from across performing-visual-and new media arts, contemporary thinkers and researchers in water sciences. 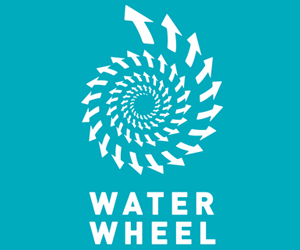 It will take place on Waterwheel, an internet platform dedicated to Water - water-wheel.net as well as in 7 “nodes”: in Australia, Hong Kong, Tunisia, USA and Argentina. Nodes are physical venues hosting some presenters and screening part of the programme to local audiences. 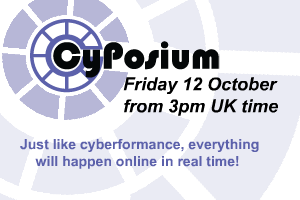 The symposium is free and accessible to online audiences with just a standard internet connection and browser: attending the shows is as easy as clicking a link. The entire international event has been co-organised by Waterwheel (Brisbane) and the Research Unit of the Higher Institute of Agronomy of Chott Mariem (IRESA) Sousse University in partnership with La Cité des Sciences of Tunis (Tunisia), Qld College of Arts Griffith University in Brisbane (Australia), the Five Colleges in Massachusetts (USA), the Centre for Experimentation and Research in Electronic Arts (CEIArtE) of the Universidad Nacional de Tres de Febrero, Reci- clarte and IQLab in Buenos Aires (Argentina). This year’s theme ‘Water Memories & Tomorrow’s Landscapes’ will cross several lines of enquiry: ‘Arts, Science and Technology’ with four topics: temporalities of water and environments; water, environment and society; flooded cities; and new technologies and water governance. Participants from Algeria, Argentina, Australia, Belgium, Canada, France, Germany, Greece, Hong Kong, India, Ireland, Italy, Morocco, Netherlands, New Zealand, Pakistan, Poland, Saudi Arabia, Serbia, Tunisia, UK and USA are: Boujelben, A. Boussetta, Alberto Vazquez, Alejandra Ceriani, Alejandro Meitin, Alessandro Carboni, Angelique Mannella, Anna Macleod, Aristi Costopoulou, B. Gastli, B. Douh, Carlotta Brunetti, CH. Jatalaoui, Christine Badalamenti, Christine Destrempes, D.L. ‘West’ Marrin, Dan Godston, Daniele R. Pbx, David Ikard, Earthdance Contact Improvisation group, Eklavya Pras- ad, Elena Maria Abraham, Elizabeth Bryce, Erika Stimpson, Fateh M. Marri, Florence Higuet, G. Ben Abdessalam, Gerardo Della Vecchia, Gorka Cortazar, Grit Ruhland, H. Ben Hassine, H. Fatmi, H. Ilehi, H. Rejeb, Habibullah Magsi, Ilka Blue, Irina Novarese, Isabelle Bats, James Cor-nish, Jana Piest, Jehan Kanga, Jo Tito, Jennifer Stuerzl, Jude Macklin, Jude Roberts, Karin Stack, Katarina Dj Urošević, KB Farhat, Kyle Vanderburg, Laura Chipley, Lauren Elder, Leah Bar-clay, Lisa Lamarre, Luisa Cortesi, M. Lataoui, M. Moussa, M.M. Rejeb, Mahesh Vinayakram, Malek Lataoui, Mariana Carranza, Mark Macklin, Marnie Orr, Marta Heberle, Mary Gardner, Mohamed Amin Hammami, N. Bayrem, N. Sayar, Natalia Pajariño, Nathan Kensinger, Nicole Darabia, Peter Berthold, Phil Heywood, Rachel Sweene, Rebekka Reuter, Ricardo A. Coelho de Souza, R. Nciri, Ricardo da l Farra, Riccardo Petrella, Robert Lisek, Roger Alsop, Roy Staab, S. Fekih ; S. Ham- mami, S. Khila, Sarah Nelson Wright, Shakthi Sivanathan, Siham El Rharbi, Silvana Tuccio, Silvina Babich, Sonja van Kerkhoff, Souayah Naoufel, Stephan Wolf, Suzon Fuks, Trish Fitzsimons, V. Barbin, W.Lataoui, Walid Lataoui, Yasmina Attia, and Yosr Chamekh.